Every time I ride the 60-cent bus from my apartment to one of the most beautiful beaches in the world, my breath is taken away. 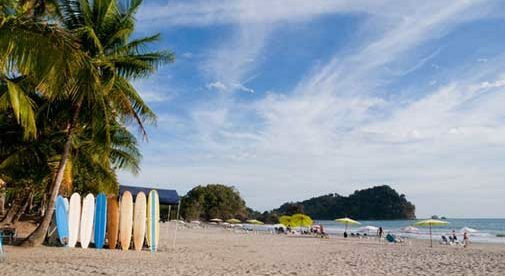 The road that leads to Playa Manuel Antonio holds nothing short of breathtaking views. Watching the Pacific Ocean’s waves barrel and crash down the shoreline covered with palm trees and lush jungle, I cannot help but wonder how I ever got to be so fortunate to live here. The abundance of wildlife and untouched nature is astounding. Vast open ocean and wild jungle are views that I take in daily. Monkeys pass my window every hour or so without me even blinking an eye. I regularly see sloths lazily slide from branch to branch with a wide grin on their faces that embodies the Pura Vida lifestyle of Costa Rica. Pura Vida. I hear these words nonstop as I walk through the nearby town of Quepos. This beautiful phrase is the mantra of Costa Rican life. Translating literally to “pure life,” this simple statement encompasses so much more. It is an ode to the attitude of life here: a simple, pure, beautiful way of living life to the fullest in every moment. I spend my mornings practicing yoga either overlooking the Pacific from an elevated terrace or in the local studio at $15 a class. Locals and expat residents pay half price though, and discounts are offered for bulk packages. If the gym is more your style, a mere $50 a month will give you access to a fully equipped, modern gym facility. But if the ocean is your playground, then there’s endless water sports to enjoy completely free of charge. I spend my afternoons at the beach. Surfing, kayaking, paddle boarding, swimming, I love any excuse to dip my feet in the great blue. With bright sun and cooling patches of shade across the long, sandy coastline, you can be sure to find the perfect, secluded spot to kick back, relax, and enjoy. Evenings are quiet here. Most locals and expats go to bed quite early to combat the heat. Early to bed, early to rise to beat the sun in the morning. The coolest hours of the day are just after the sun rises when a warm breeze will kiss your cheek as you sip your delicious Costa Rican coffee. Casados are the local specialty food. Literally translating to a “marriage,” this mixture of pinto (rice and beans) comes with plantains and your choice of eggs, veggies, fish, or meat. Eating one of these out on the town runs you about $6. Wash it down with an exotic fresh fruit smoothie for an extra $3. A local night market pops up on the weekends in Quepos. It offers fresh fruits and vegetables, honey products, clothing, and much more at very low prices (once you hone your haggling skills). I pay a mere $350 per month for my fully furnished and gated apartment. It has everything I could ever need (even air conditioning and hot water, which most locals do without). A full kitchen complete with an oven and even a fully furnished rooftop with ocean views from my hammock make me happy as a clam at the rates I pay. Only a two-minute walk to the grocery store and to the public bus station, it is super easy for me to get around even without a vehicle. But if you can’t wait to catch the public bus, colectivo taxis pass by every five minutes or so, honking their horns and flashing their lights tempting you to catch a shared ride for $1. Small-town life is definitely small here but it creates a beautifully tight-knit community. Everyone knows one another and takes the time to stop and say hello to every passerby. Life is simple. People appreciate the cooling rain, a sloth always causes a traffic jam, and days spent lazing in a hammock on the beach are commonplace. Life here is slower, calmer, softer. Life here is Pura Vida. 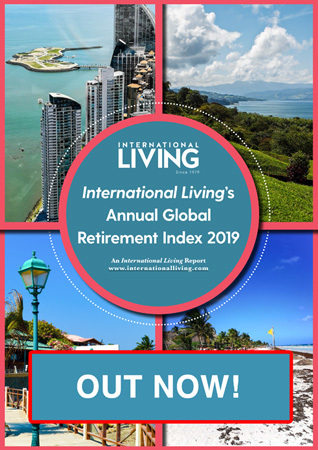 This special guide covers real estate, retirement and more in Costa Rica and is yours free when you sign up for our IL postcards below. “Gold Coast” is synonymous with an idyllic beach paradise. Among the few stretches of coastline on the planet that share this nickname is Costa Rica’s northern Pacific coast. And deservedly so. For me—and the thousands of expats who call this region home—this is beach living at its best.